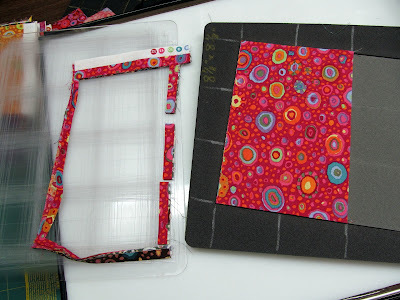 I started cutting strips of Kaffe fabric for this cutting project over a year ago. I want to do another Kaffe colorwash but I have some other ideas for the 2.5" squares too. I used them in this quilt - which isn't finished yet. 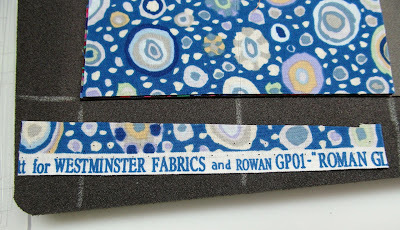 I started with fabric 01 which was out in the early 1990s. Each fabric is a double layer and there are 3 fabrics (6 layers) in each stack. I'm using the GO! die for this one because the Studio die doesn't cut as clean (I have to pull the squares out carefully at every intersection). I could cut 10 layers with the Studio die but I spend a lot of time getting the piles of squares off the die. The GO! 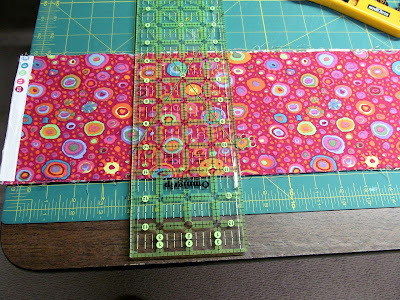 die will cut 6 layers at a time and the fabric piles lift off easily. 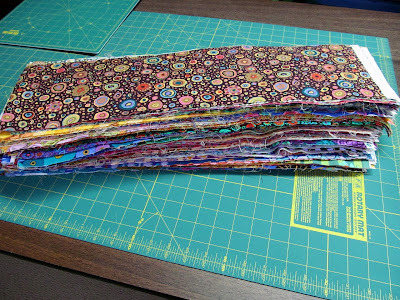 I cut the long strips at the 8 1/8" mark twice for each pile of 6 layers. I lay them on the die with the lengthwise grain leading into the roller. After cutting this is all the waste there is. This cutting project will probably take at least a month to finish. I'm stacking them in a cookie sheet. The larger sheet on the bottom will be the one where I fan out the layers so I can keep track of what I have cut. The green square at the top of the tray isn't perfect. 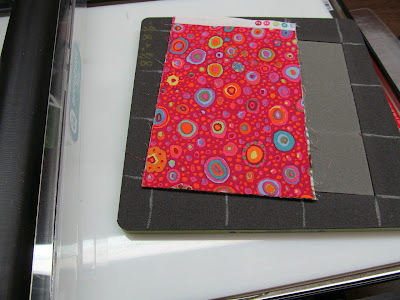 Some of the fabrics had a swatch cut out of a corner so I will pull the imperfect squares and keep them separate. They will probably get cut down to 2" squares at some point. 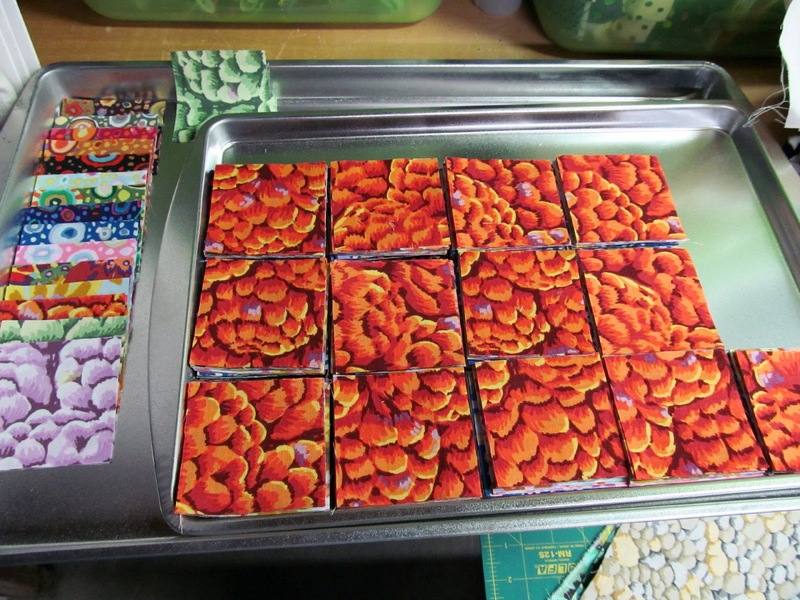 I have been painstakingly sorting batik squares in lids of cat food tray boxes by color and value. Since I order from chewy.com, I get one lid and one tray per 24 cans and can keep sorting staggered squares. I bought 2 yards of anti-pill white fleece, so as soon as I can find a wall to temporarily tack it to, I will start a colorwash that will hopefully be big. I can't imagine all the work you are doing cutting. To Sewing Junkie- I fold my Studio cutter up on my counter and it doesn't take up as much space. 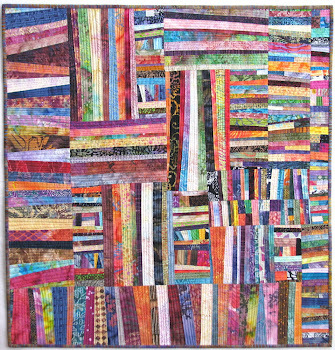 You have some pretty fabric there, I need to get going on a Kaffe quilt myself but so many other ones keep calling my name. My GO folds up nicely, but it's all the dies that take up room. Sure do like it though. You and your stash never cease to amaze me -- wow. 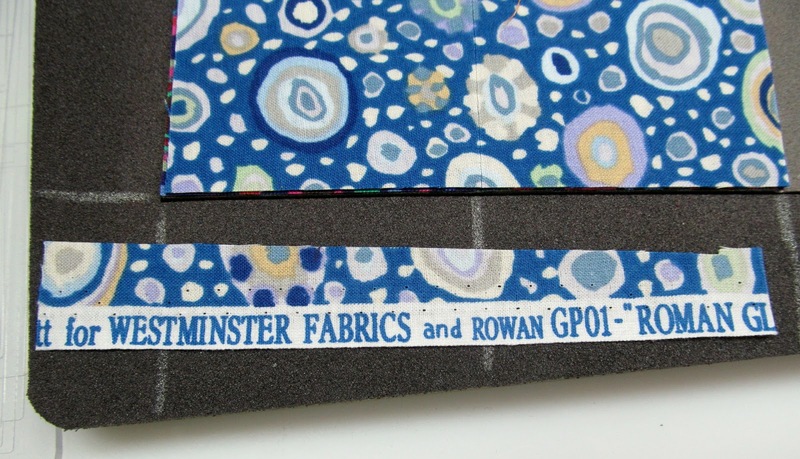 (that GP01 is the fabric I used when I created the first not-so-great layout for See Rock City). I love watching your organizing brain at work!! You amaze me, with each project!! Maybe, through osmosis, I will pick up some serious irganizing skills!! there has been a lot of promotion of cutting machines here on craft channels it must make for much faster cutting but not in my price bracket and to be honest I quite enjoy the cutting process. I guess you've got your work cut out for you - pun intended LOL. Have fun. I agree with Judy! I love watching your organization. What cutter do you use? 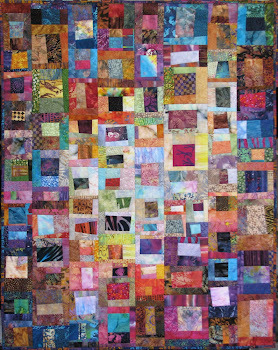 I am thinking of getting one (I am new to quilting, I have made 3 and a runner so far).